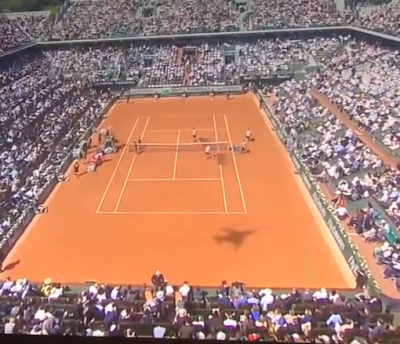 UFO SIGHTINGS DAILY: French Open: Plane shadow flying BACKWARDS caught on camera (FULL VIDEO) June 2015, UFO Sighting News. French Open: Plane shadow flying BACKWARDS caught on camera (FULL VIDEO) June 2015, UFO Sighting News. 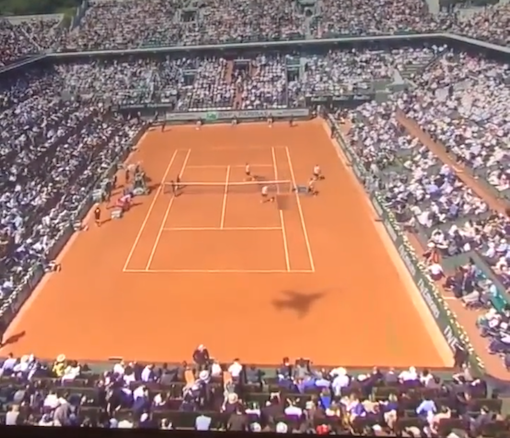 French Open: Plane shadow flying BACKWARDS caught on camera - Mystery plane filmed flying BACKWARDS during French Open - "Mysterious 'backwards-flying' plane at French Open" (VIDEO) The mysterious BACKWARD-FLYING plane shadow at the French Open, explained. When Serena Williams and Sloane Stephens went up against each other yesterday, spectators noticed something strange on court. 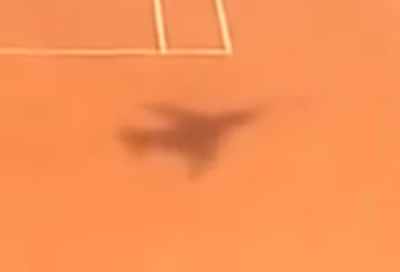 Eagle-eyed tennis fans spotted the shadow of a plane flying backwards on court during the French Open yesterday. It appeared during a break in play as Serena Williams took on Sloane Stephens. Spectators were left scratching their heads after watching the plane's silhouette retreat across the screen. 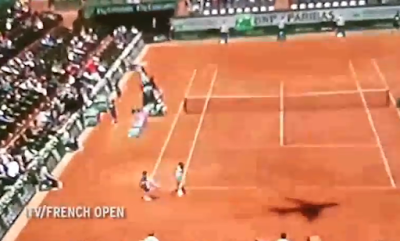 French Open: Plane shadow flying BACKWARDS caught on camera. 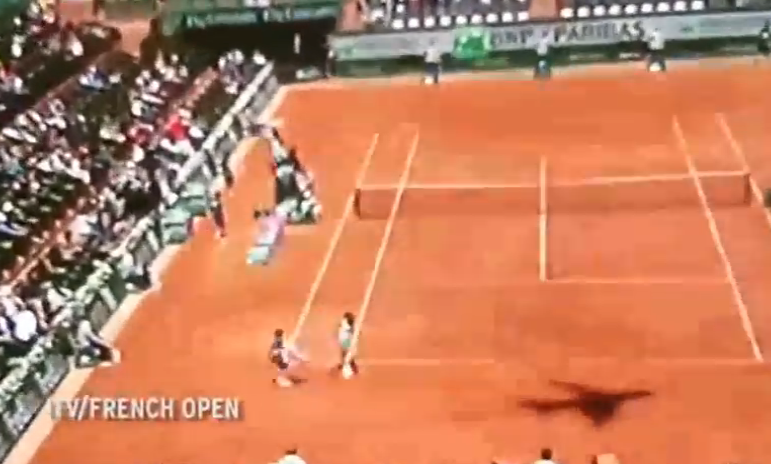 Mystery plane filmed flying BACKWARDS during French Open. Plane shadow flying backwards during French Open. Mystery plane flying backwards during French Open. "Mysterious 'backwards-flying' plane at French Open" Dozens of confused fans took to Twitter to express their confusion. Zeb Goodman wrote: "Can someone explain to me why the plane shadow is going backwards?" Sam William wrote: "Why was the shadow of the plane going backwards at the French open? It's weirding me out!? Anyone else see it?" And in other footage, from Andy Murray's game last week, the same plane is clearly seen in the sky flying backwards.